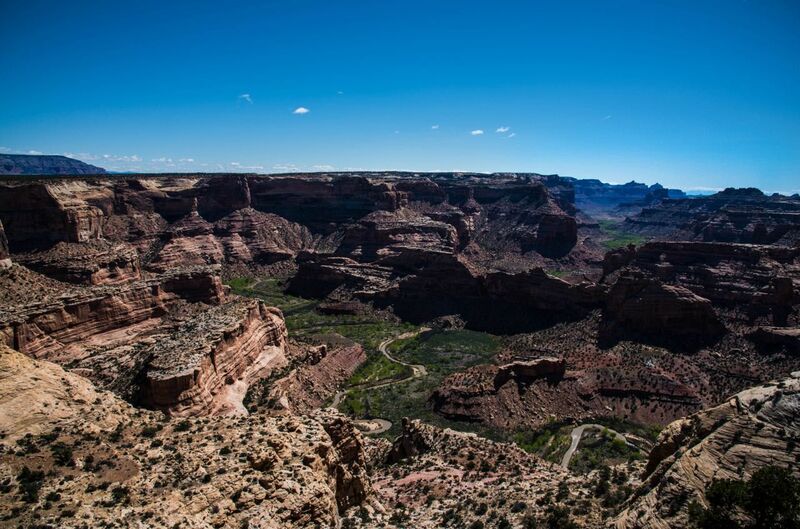 THE LITTLE GRAND CANYON of Utah is the centerpiece within the geologic feature known as the San Rafael Swell. The Swell is a vast and varied landscape of colorful formations and river-carved canyons and gorges. It is the burial site of dinosaurs, a paradise for rock hounds, and a playground for bikers, Jeepers and campers. As a teenager, Utah’s Little Grand Canyon, also known as “The Wedge,” was one of my favorite places to explore. It is truly a natural playground with features to attract a wide variety of interests. 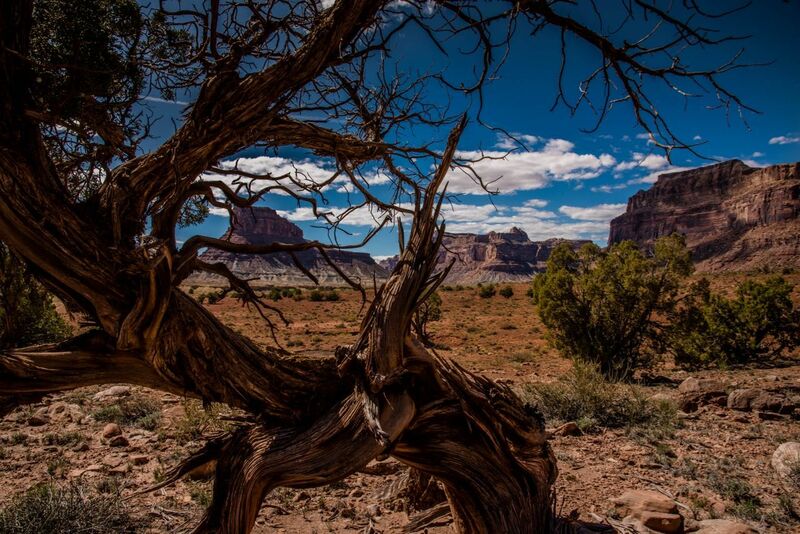 The following photos are a sample of what The Little Grand Canyon and The San Rafael Swell offer. Enjoy the brief photo tour and experience a spark of enthusiasm for one of Earth’s great natural attractions. The Wedge is similar in appearance to the famous Grand Canyon of Arizona, It’s a labyrinth of river-carved canyons that provide panoramic vistas and winding trails for all who visit. Scientists, rockhounds, climbers, hikers and river enthusiasts will all find a place here. The San Rafael River winds through the canyon on its way down to the Green River. Within the Little Grand Canyon area is a large wash known as Buckhorn Draw, or Buckhorn Wash. This wash is a well-known spot for local camping and outdoor recreation. Deep within Buckhorn Draw is a treasure trove of ancient petroglyphs. 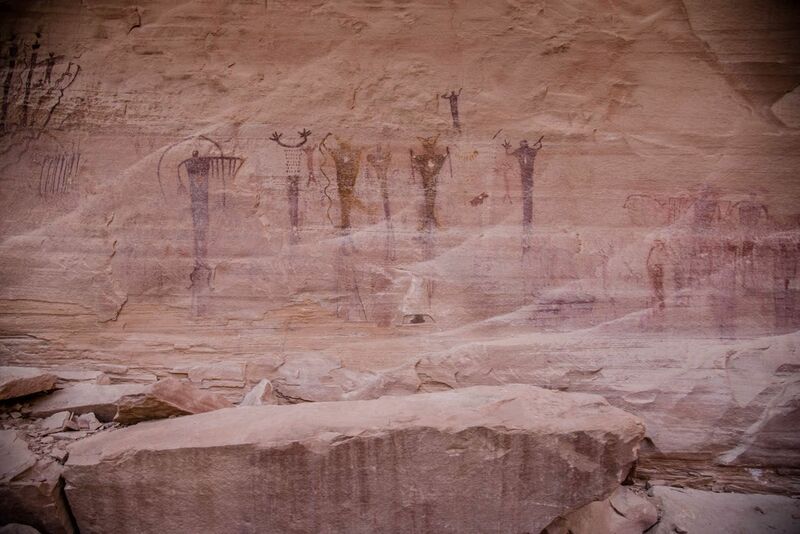 They are best viewed when the panels are in shade as the petroglyphs fade under the light of the sun. The San Rafael Bridge provides passage across the San Rafael River deep within Utah’s Little Grand Canyon. 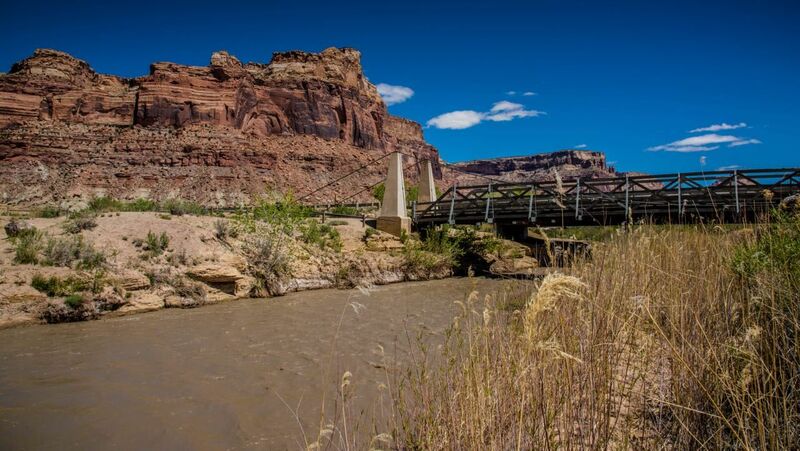 This bridge allows access from Buckhorn Draw to the southern sections of The San Rafael Swell. The original bridge, known as The Swinging Bridge, was built in 1937 by the Civilian Conservation Corps and is still in use, but is only open to pedestrian traffic. Until the 1990s the Swinging Bridge was the only bridge across the San Rafael River. A modern bridge was erected and currently provides safe crossing for motorized vehicles. Just prior to crossing the San Rafael River Bridge travelers will notice a rugged road which travels along the river for approximately fourteen miles. 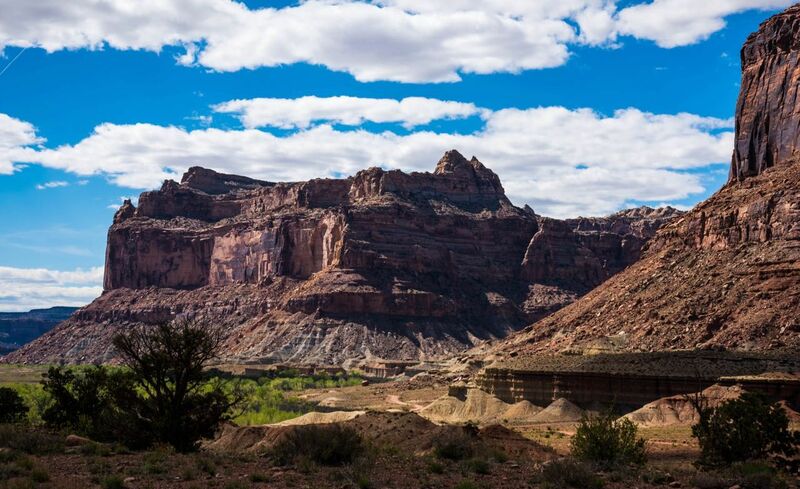 This road allows access to spectacular river side camping and inspiring desert scenery. Among the rugged rocks and jutting peaks are many spectacular looking cedar trees which accent the rocky landscape and provide wonderful photographic opportunities. One of the great spectacles within this rocky terrain split by the San Rafael River are the areas of lush, green vegetation providing contrast to the barren peaks and rugged washes. 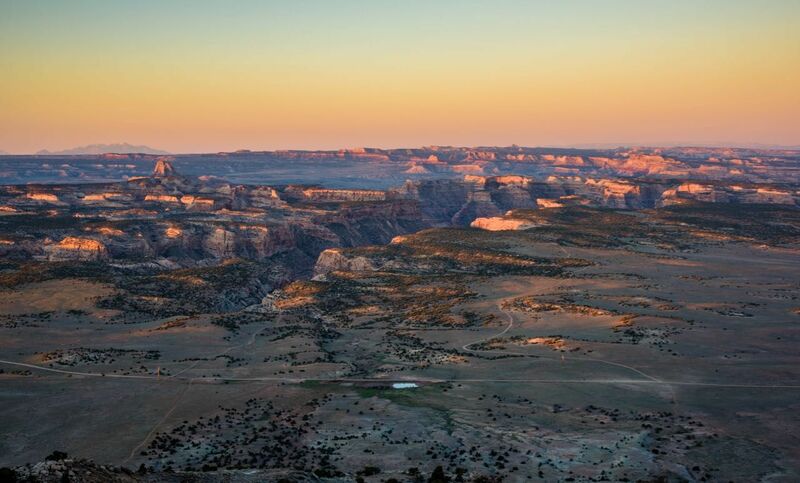 Cedar Mountain is a massive ledge extending for miles along the north-eastern portion of the San Rafael Swell which stands as a massive sentinel overlooking the gorges. At the top of the mountain are several spectacular overlooks displaying the northern portions of The Swell. The sunrise from these overlooks can be fiery and spectacular. The high ledges of this mountain provide the ideal escape for those looking to enjoy the beauty and spectacle of nature enhanced by solitude. There are some challenging hikes along the ledges as well. 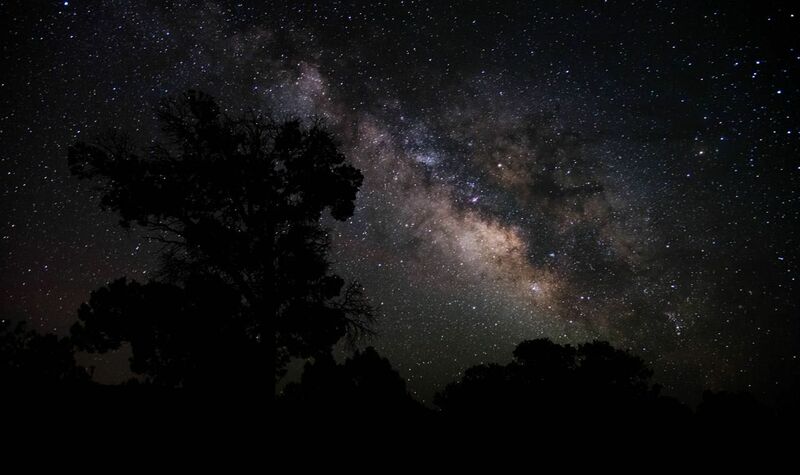 The meadows atop Cedar Mountain offer a spectacular view of the night sky. On a clear night, the vast Milky Way Galaxy can be seen clearly with the naked eye.